The saying goes that one should never judge a book by its cover. Doing so might lead one to believe that the 2014 Buick Regal does very little different from its 2013 predecessor. 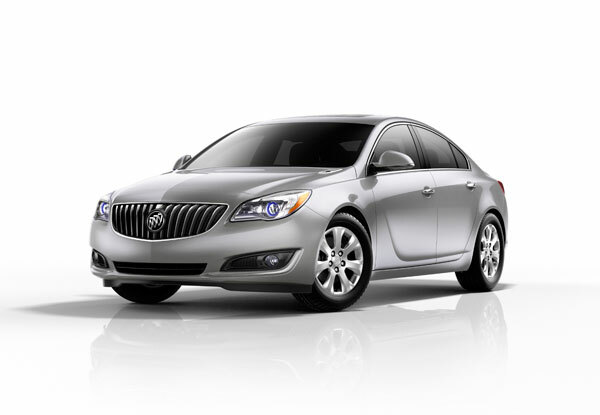 However, as the folks at Kelley Blue Book will tell you in their 2014 Buick Regal overview, the refined beauty of the 2014 Buick Regal is more than skin deep. KBB goes straight to the heart of the 2014 Buick Regal, lauding the 18 horsepower upgrade in the 2.0L turbocharged 4-cylinder as well as highlighting a new aluminum cylinder head, forged steel crankshaft, and variable displacement oil pump among other upgrades. One of the most important aspects for drivers—fuel economy—is also improved upon by 17 percent with EPA ratings between 19 and 21 miles per gallon city and 27 to 30 mpg highway depending on the selected drivetrain. One of the key updates is the 2014 Regal’s all-wheel drive option, a two clutch Haldex system that can transfer power fore and aft as well as from side to side. The all-wheel drive option is only available with automatic transmission and cannot be equipped with the eAssist powertrain. Buick’s “Athlete of the Family” certainly does not want for tricks up its sleeve, boasting a pleasant combination of something familiar and something new in carrying over the same things that made the 2013 Buick Regal a winner with drivers and enhancing them with all the things 2014 drivers expect.